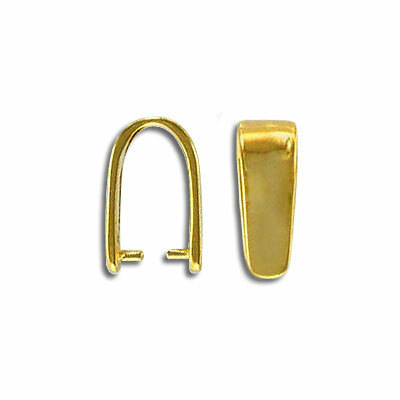 Bail sterling silver, 5x12mm, grip length 4mm, gold plated. Frabels Inc. Bail sterling silver, 5x12mm, grip length 4mm, gold plated. (SKU# BA673/SSGL). Sold individually.